Located near downtown Littleton, New Hampshire, 1,373 foot Eustis Hill was recently reopened as a small, rope tow served ski area. Lift served skiing may be available next weekend. Second defunct area in New England to reopen to the public this season. A short portable rope tow has been installed. Northern New Hampshire to be without lift served skiing for the first time since World War II. Littleton, NH's Mt. 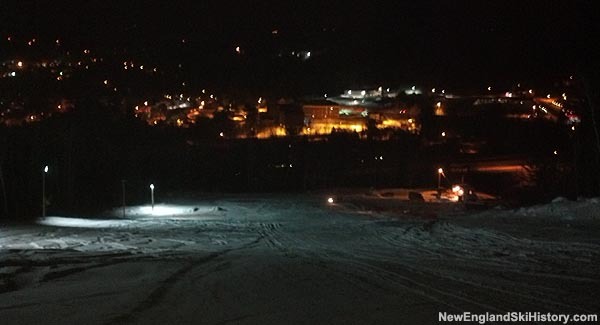 Eustis has announced its received 501(c)(3) status as it works to reopen for skiing.